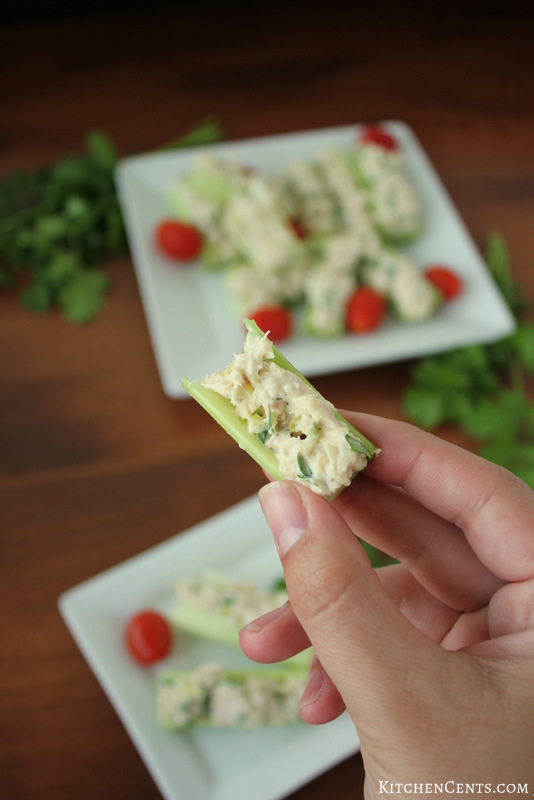 These tuna salad celery sticks are creamy, crunchy, and filled with delicious albacore tuna makes these a perfect any day healthy snack or lunch. 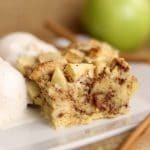 If you are looking for a quick, delicious snack that you don’t have to feel guilty about, this is it! 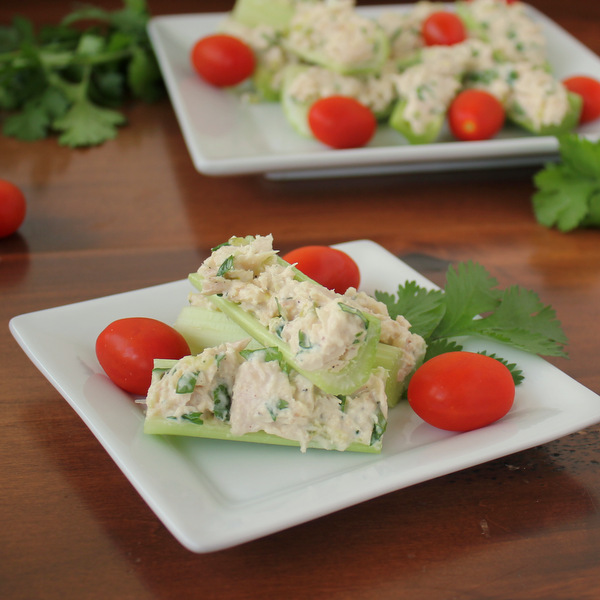 These healthy tuna salad celery “boats” are so good and filling. A few weeks ago I was feeling like tuna but didn’t want a bread-y, sandwich or tuna melt. My first thought was, wrap this tuna salad in lettuce. After digging through the fridge to see what I had, there was no lettuce to be found but I did have celery. When I was a little girl, I loved eating “ants on a log.” You know, celery sticks filled with peanut butter and topped with raisins. Yum! 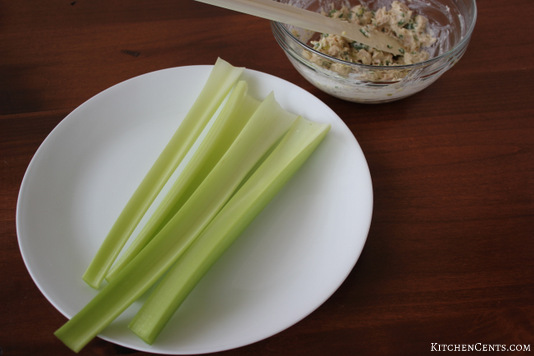 I thought to myself… let’s fill the celery with my tuna salad. 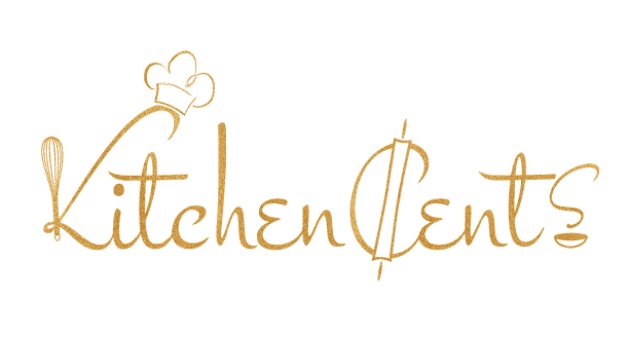 It was a fabulous and delicious success. I ate this for lunch that day. 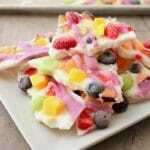 My kids and I have enjoyed this tuna salad celery “boat snack” as lunch and a healthy afternoon snack. 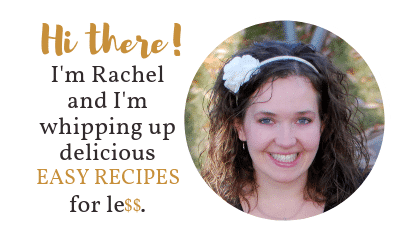 If you like tuna salad, this recipe is a must-try! 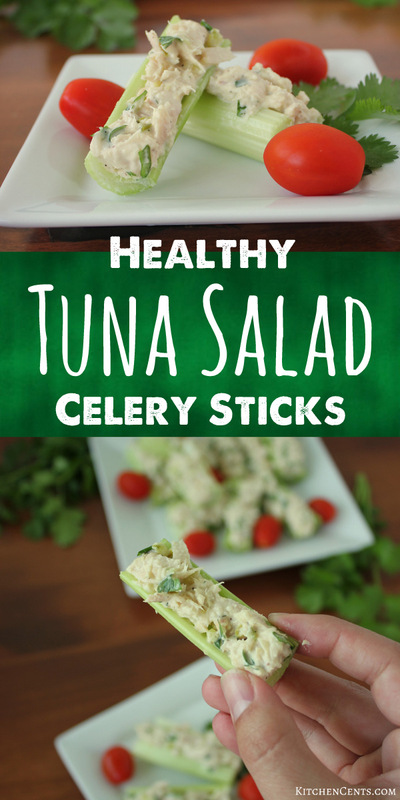 The celery combined with the creamy tuna salad is amazing. 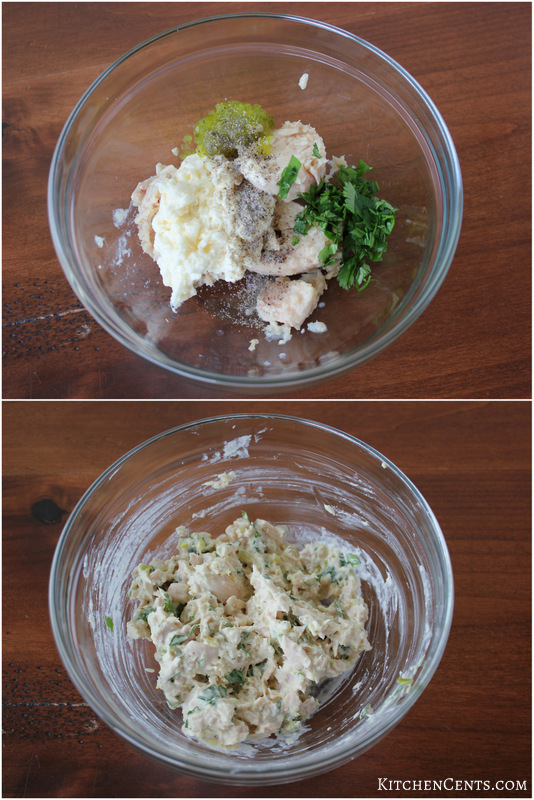 The crunch of the celery gives such great texture and the cilantro makes the tuna salad taste so fresh. 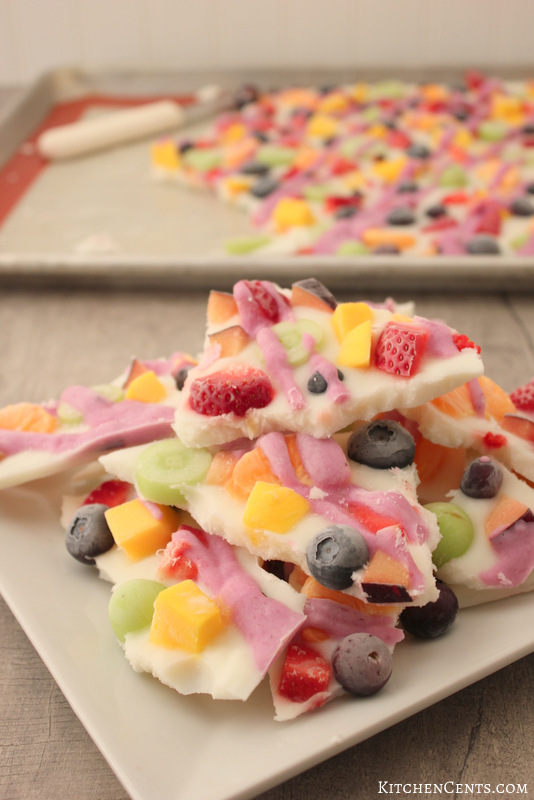 It’s not your traditional “healthy tasting” snack. I promise! I like to keep my tuna salad really simple. Here’s what I use. 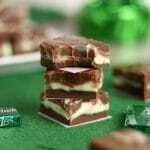 You can find the full printable recipe here. I always try to buy white albacore tuna. Everywhere I’ve read has said white albacore is the “cleanest” most healthy tuna when it comes to the canned stuff. 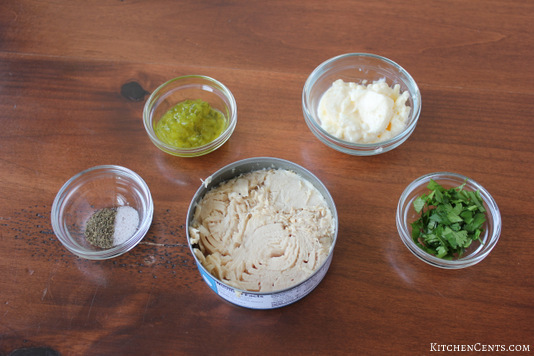 I drain my canned tuna then throw everything in a bowl and mix. Once I had the tuna salad made, I washed my celery stalks. I used 4 because a few of mine were on the smaller side. You may only need 3 if they are larger. I then filled each stalk with the tuna salad mixture and cut into 2 1/2 to 3-inch sticks. 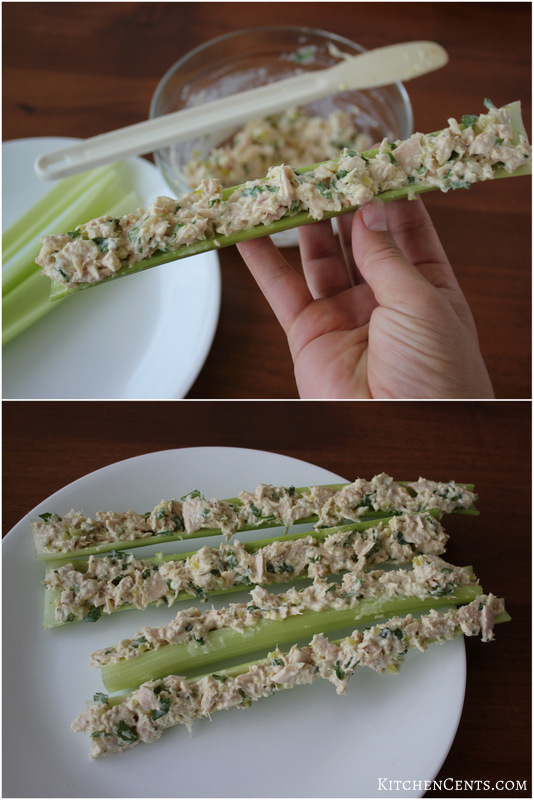 Pair these healthy tuna salad celery sticks with some cherry tomatoes and you have one amazing lunch. Yum! What’s your favorite healthy snack or light lunch? How do you like to enjoy your tuna salad? 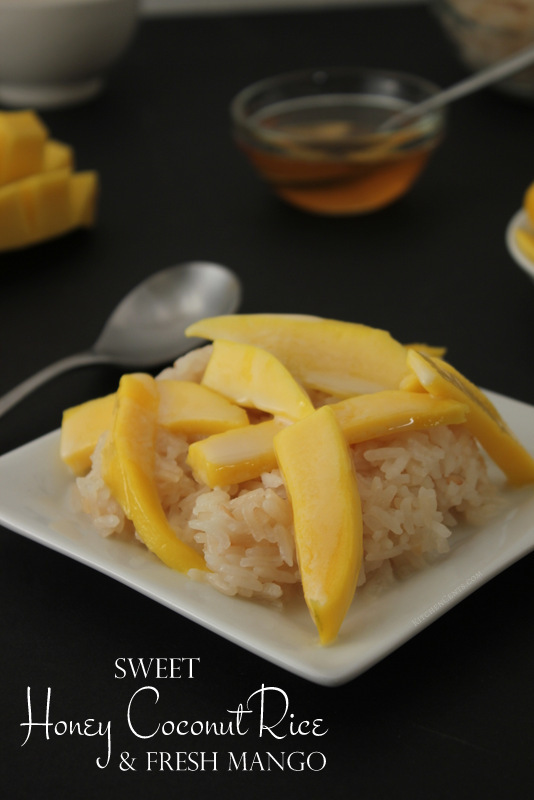 If you like this recipe, you may also like this Sweet Honey Coconut Rice with Fresh Mango or Healthy Rainbow Fruit Frozen Yogurt Bark.